In March 1797, five British sailors and 12 Bengali seamen struggled ashore after their longboat broke apart in a storm. Their fellow-survivors from the wreck of the Sydney Cove were stranded more than 500 kilometres southeast in Bass Strait. To rescue their mates and to save themselves the 19 men must walk 700 kilometres north to Sydney. That remarkable walk is a story of endurance but also of unexpected Aboriginal help. 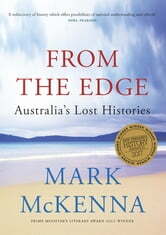 From the Edge: Australia's Lost Histories recounts four such extraordinary and largely forgotten stories: the walk of shipwreck survivors; the founding of a 'new Singapore' in western Arnhem Land in the 1840s; Australia's largest industrial development project nestled amongst outstanding Indigenous rock art in the Pilbara; and the ever-changing story of James Cook's time in Cooktown in 1770. 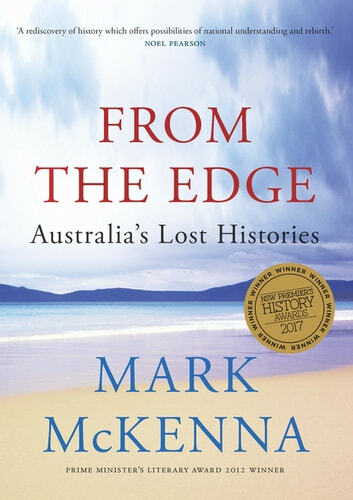 This new telling of the central drama of Australian history ;the encounter between Aboriginal and non-Aboriginal Australians, may hold the key to understanding this land and its people.